For students at St. Andrew’s School, a recent hands-on assignment on one of the world’s most precious resources proved to be a lesson that, literally, holds water. 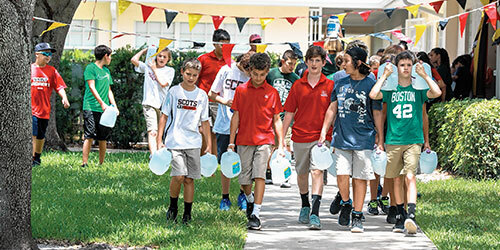 As part of an experiential-learning project about the global water crisis, more than 80 sixth-grade students walked a mile around the Boca Raton campus carrying one- or two-gallon jugs of water. 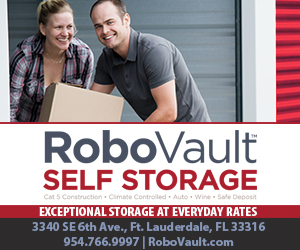 Sparked by a visit from an official of the Ugandan Water Project, the “1-Mile Walk for Water Awareness” helped to bring home to students the steps that Ugandan children and adults must take to fetch and carry water to their homes and villages. The walk culminated weeks of lessons for the entire sixth-grade class and featured a “Day of Experiential Learning about Water” with James Harrington, executive director of the Ugandan Water Project. The nonprofit group works to provide clean water and sanitation to over 300 Ugandan communities now suffering a water crisis. Instead of regular classes, students divided into small groups to learn about the geography of Uganda, build model water tanks, calculate possible fundraising solutions and compare water needs of two local Ugandan schools. The multidisciplinary project also included lessons in the “value” of water, with math teacher Reed Martin; creating experiments with models to hold water, with science teacher Angela Kopels; writing about making a difference for the Ugandan people, with English teacher Jessica Laliberte; and discovering geographic locations with an extreme need for water, with social studies teacher Michelle Blum. For more information, please visit ugandanwaterproject.com and saintandrews.net.